Helping clients navigate the values-based and tax-saving aspects of this important facet of estate and financial planning. Charitable giving can be an integral part of the legacy we leave. 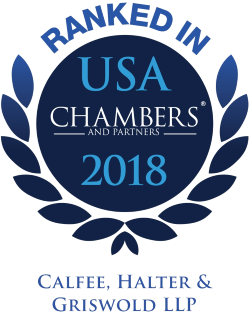 Calfee attorneys are keenly focused on assisting our clients with navigating and balancing the values-based and tax-saving aspects of this important facet of estate and financial planning. We can assist in planning and implementing lifetime gifts as well as testamentary gifts. Strategies vary from outright gifts to charitable trusts, gift annuities, donor-advised funds or private foundations. On the other end of the spectrum, we can provide counsel regarding the formation, operation or termination of nonprofit organizations. Calfee and our lawyers actively support a number of charitable causes, and, likewise, assist our clients in supporting their important causes. From planning to implementation, we add value by quantifying the potential tax savings of various strategies, as well as the impact such strategies will have on their heirs. We design and implement vehicles that can benefit charitable causes outright and immediately or can offer a deferred approach with greater control by the donor. We are experienced advising clients regarding tax-advantaged strategies, such as charitable remainder trusts and charitable lead trusts, which can be leveraged to generate significant benefits to both charitable institutions as well as non-charitable donees, including direct heirs. Our professionals are strongly committed to helping you achieve your charitable goals. "They're extremely collaborative, they're comfortable being part of a team, communicating with everyone on the team and getting things done cost-effectively."